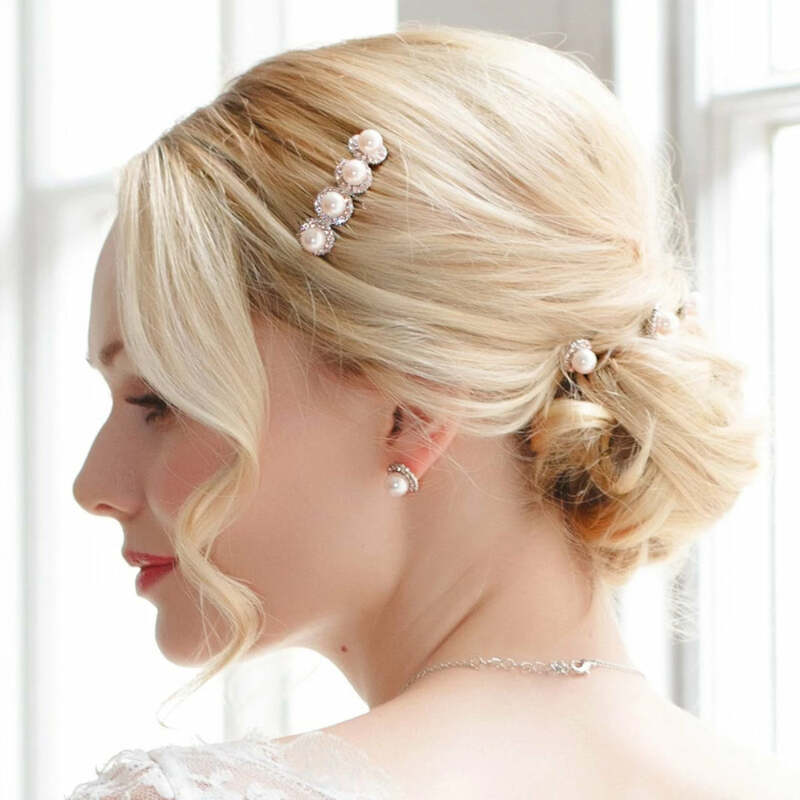 Feminine and pretty, these pastel pink pearl hair pins are the epitome of vintage elegance. A beautiful pop of colour for a stylish updo. 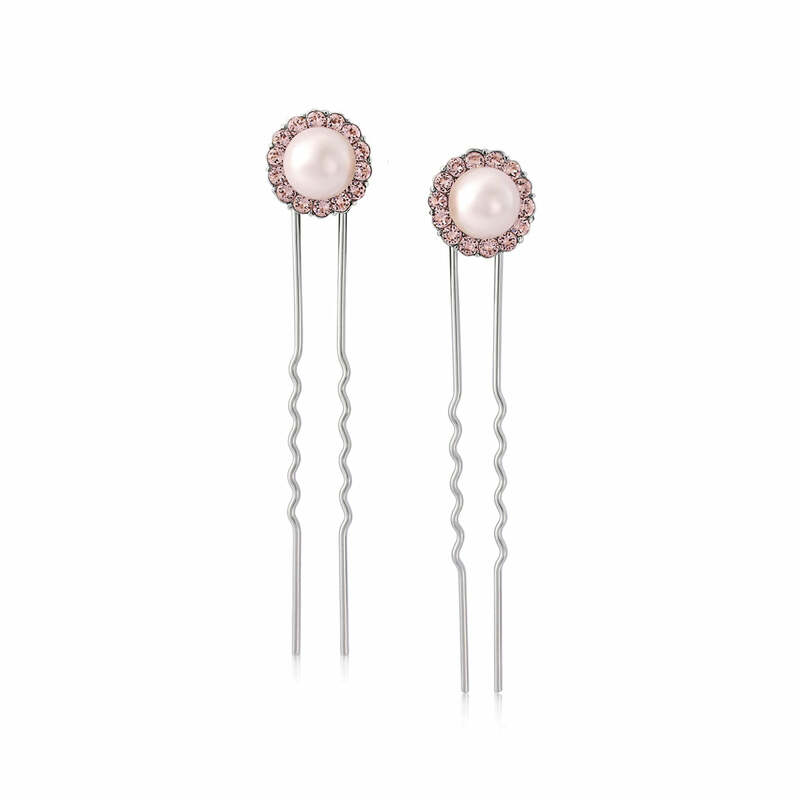 Delight in the beautifully romantic hues adorning our Misty Rose Hair Pins and embrace the vintage charms of the 1950s. Dainty antique pink crystals surround a light rose pearl for the perfect measure of femininity and simplicity. Play up the retro style of these pretty pale pink hair accessories by coordinating with a chic dress or tailored skirt suit for classic Grace Kelly style and celebrate an era where women dressed up to the nines. 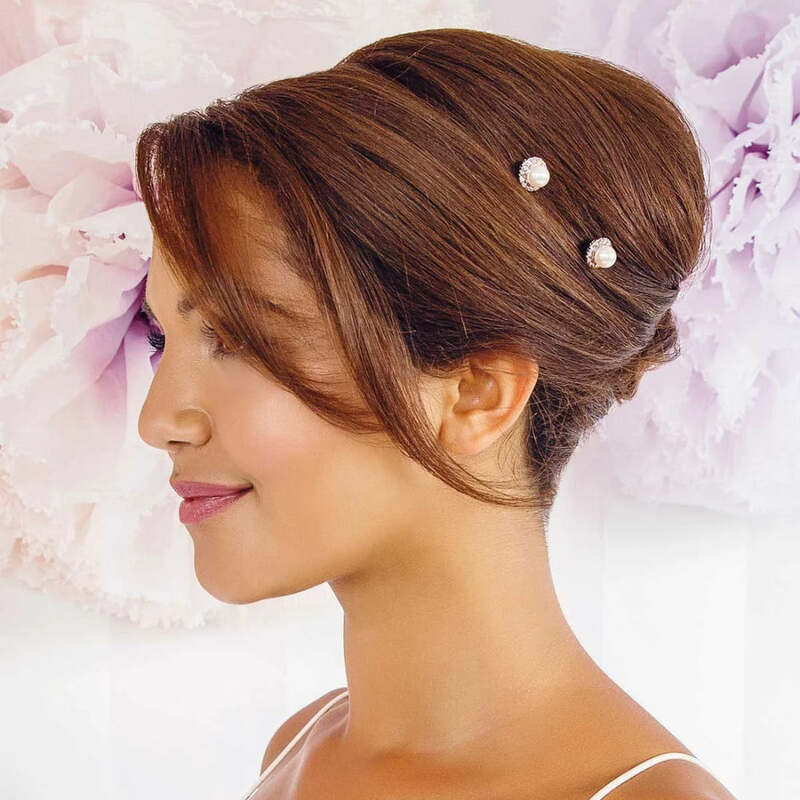 Utterly charming to enhance a pink wedding theme, Misty Rose Hair Pins are perfect accessories for both the bride and bridesmaid. With a coordinating jewellery collection, team with our matching earrings and bracelet for delicate and dreamy special day style. Finish with a bouquet of pale pink roses for a look that is breathtakingly beautiful.